Perfect Trim: The swimming position is very streamlined and environmentally friendly. In diving, “trim” refers to the leveling of the body in a horizontal swimming position. 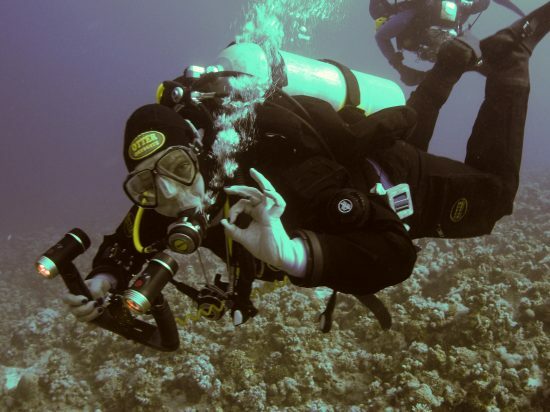 In technical dive clubs, the trim is always taught and practiced from the ground up alongside buoyancy control. There are (still) several compulsory exercises for this skill in various sports diving associations. 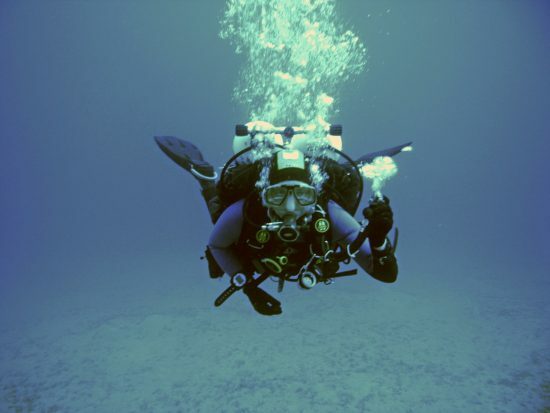 For example, even seasoned divers can sometimes be seen in a “seahorse position” in the water, which in many situations has lots of disadvantages. In holiday areas, for instance, the deco / safety buoys of divers are observed to be deployed in a vertical position (“seahorse position”). 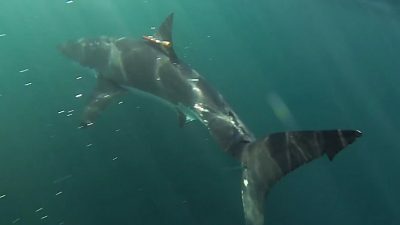 These divers are more easily carried off by the increased water resistance than divers in a horizontal swimming position as their position in the water is completely relaxed (and aerodynamically efficient), and drift does not move the diver away from his /her position. A good trim is achieved through a balanced rig /equipment configuration and good swimming technique (for example, the frog kick), with the alignment of the upper body in a horizontal line with the thighs as well as being angled upwards, so that the feet with the fins are the highest point of the diver and thus far from the ground. The swimming position is very streamlined and environmentally friendly. 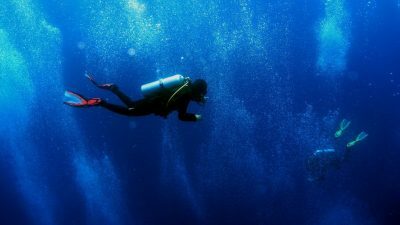 Its advantages are numerous: you can swim very close to the ground, valves are easy to reach, there is no difference in pressure between the head and feet (a circumstance that leads to more optimal decompression) and the diver has a better view. 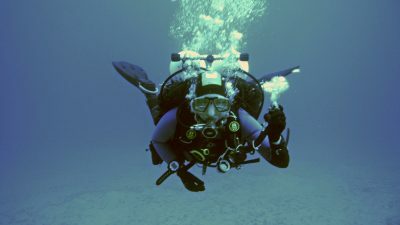 A good trim can be achieved with a perfectly fitting jacket and/or wing bladder with the weights and tanks optimally positioned at the level of the abdomen, so that the negative buoyancy components (like the weights and tank) and positive buoyancy components (like the drysuit, jacket and / or wing) are as close together as possible. In this way, they enable a balanced “tilting function” for the diver. The diver can now easily change the center of gravity (head down, feet high) or backwards (head up, feet down) as if on a seesaw, and is perfectly balanced in the water all the time. 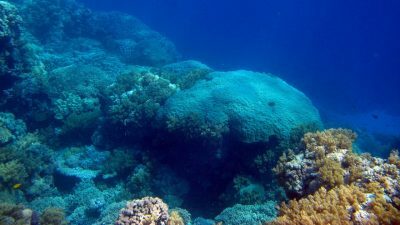 Both trim and buoyancy control are, in our opinion, the most basic skills that enable divers at all levels to be relaxed, and also practice safe diving – the basis for advanced diving (technical diving, cave or wreck diving, etc).